First Bulgarian company for international removals and shipping. Welcome to Moving.BG - a Sofia based company for international removals and shipping. 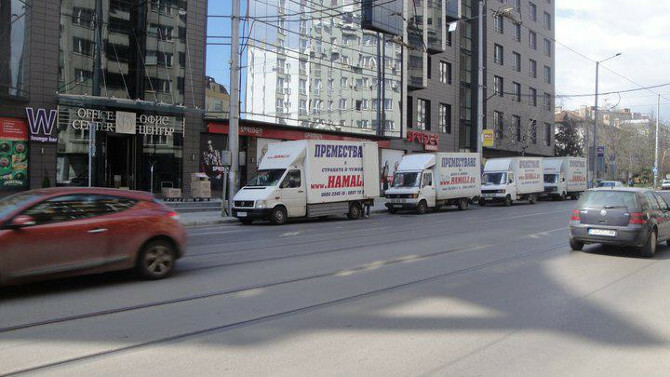 We are one of the most well-known removal companies in Sofia and whole Bulgaria, performing relocation and shipping between Sofia and all other places in Bulgaria, and also with all parts of Europe. Never mind if you need to relocate to the central part of Sofia, or from a small village in the other end of Bulgaria, we are close to you. A new decision for moving to Bulgaria - an entirely Bulgarian moving company - Moving.BG. Moving of household goods to or from Bulgaria now is easier, because of the traditions and the experience of the household removals in Bulgaria, performed by our company from many years. Never mind if our customers want removals to Bulgaria, or removals from Bulgaria to whole Europe of their household goods, our rates and quality meet all needs. The correct choice of moving company is very important for your life after the removal. When you decide to choose the services of Moving.BG - an experienced Bulgarian company in the branch of the international removals and forwarding, and the leading company in Bulgaria for local removals, you can be sure, that you have made the right choice of moving company. It`s always important to find the experienced movers. What is your attitude about your personal effects? Do they represent your self; are they some luxury, something sentimental, or just some things which make your life more comfortable? In all cases, our team in Moving.BG understands that your household goods are an important part of your life and represent your self and your lifestyle. So, this is the reason why we approach with care and respect for every detail in our work. This was our business style in the last ten years, in which we become one of the leaders in the branch of the removals in Bulgaria. We did it even before the invasion of the big and expensive international companies, then we succeeded to retain our clients and to expand constantly. © 2019 Moving.BG | All rights Reserved!